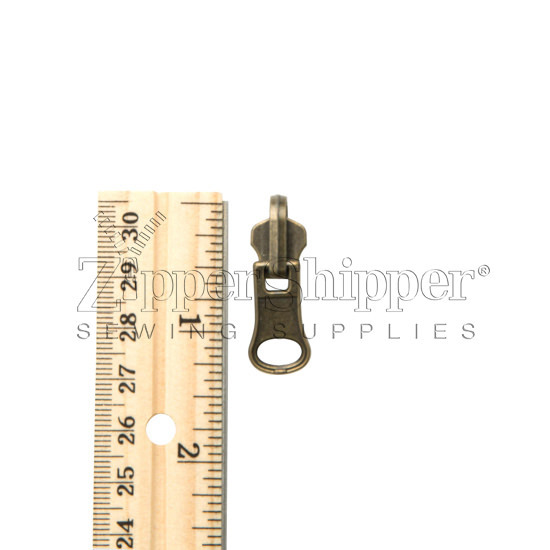 An array of sliders to help you repair or replace zipper sliders. 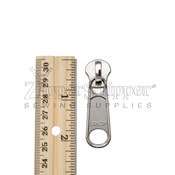 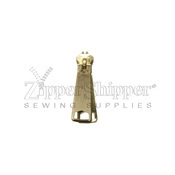 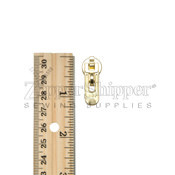 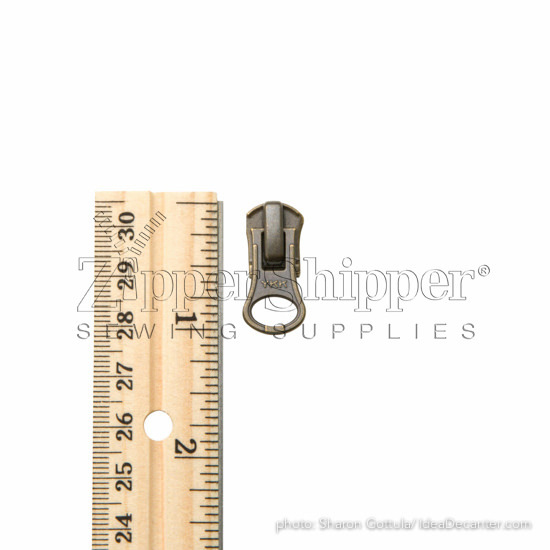 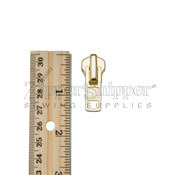 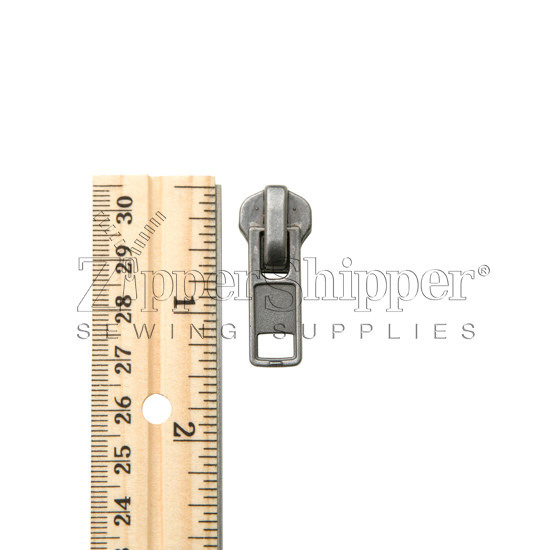 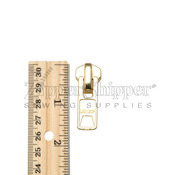 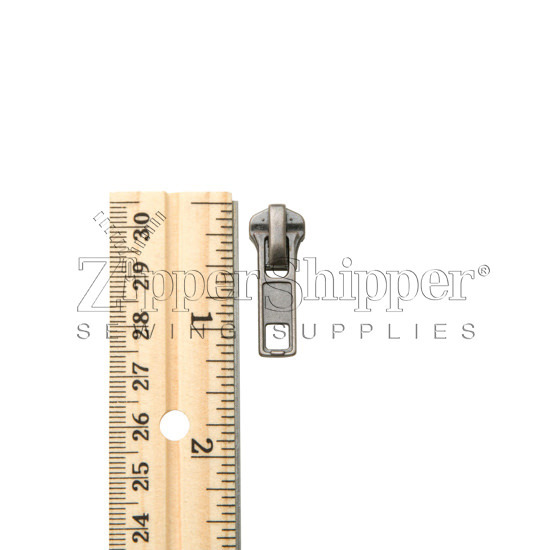 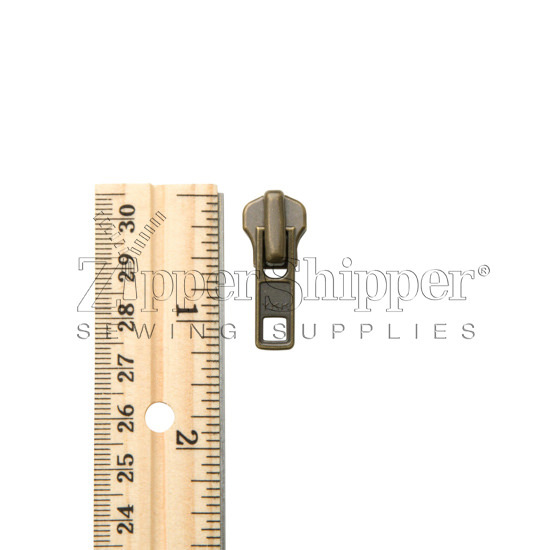 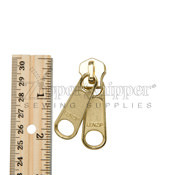 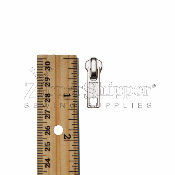 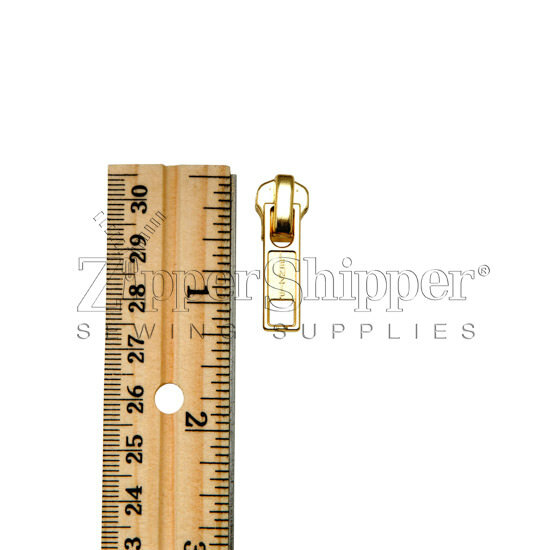 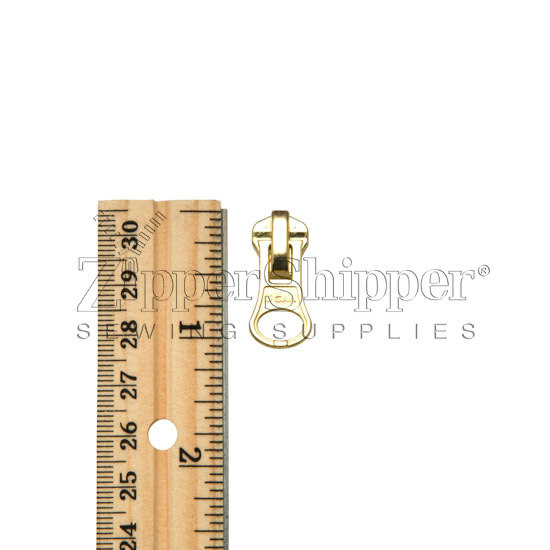 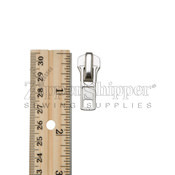 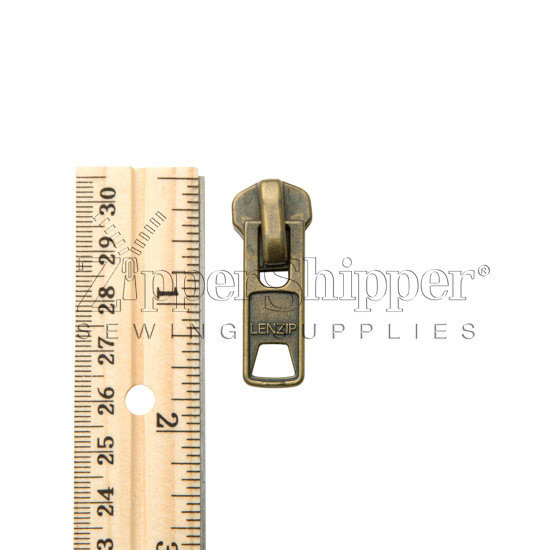 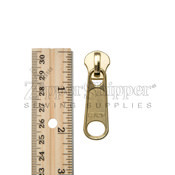 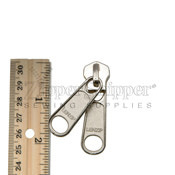 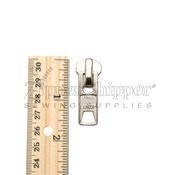 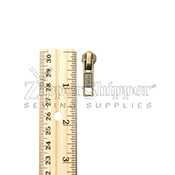 Sometimes referred to as zipper pulls or zipper pull tabs, replacement sliders for metal zippers are available for aluminum, antique brass, brass, and nickel zippers in gauges #5, #7, #8, and #10. 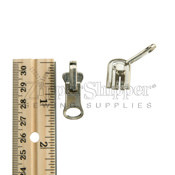 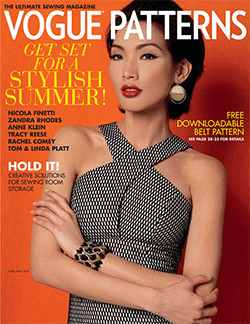 Autolock sliders are typically used for clothing. 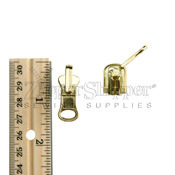 Nonlock sliders are typically used for tents and bags. 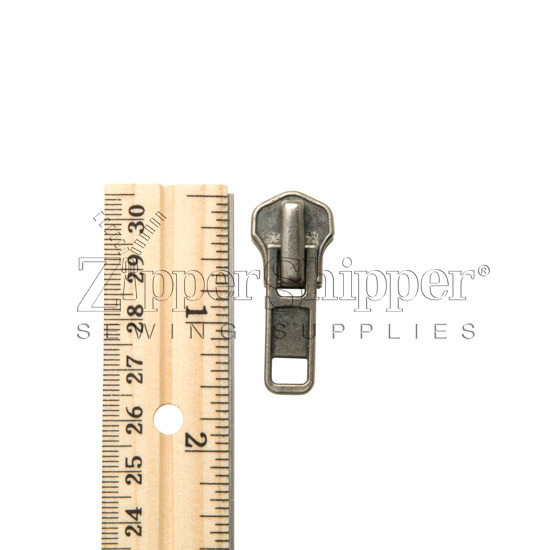 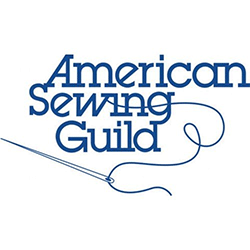 A "top slider" is suitable to be the only slider on a regular 1-way zipper, or to serve as the top slider on a 2-way zipper (a 2-way zipper unzips from the bottom and the top, like on a long jacket).